Get inspiration for your next bullet journal weekly spread with these amazing weekly log layouts. Keep reading for lots of weekly layout inspiration! 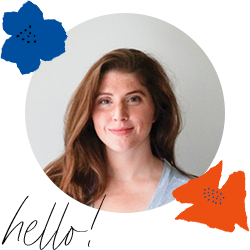 One of the greatest strengths of the bullet journal system is it’s built-in flexibility. You can adapt your bullet journal layouts to fit your individual lifestyle. A weekly spread is a one or two-page spread that is divided into sections for each day of the week. The weekly spread is laid out at the beginning of the week, and filled in as the week progresses. I love creating weekly spreads in my bullet journal to help me stay organized. Weekly spreads allow me to see my whole week at a glance — while saving room in my planner at the same time! Plus, weekly spreads can be customized to show not only your schedule, but also your tasks, goals, habit trackers, meal planning ideas, etc. The options are only limited by your imagination! 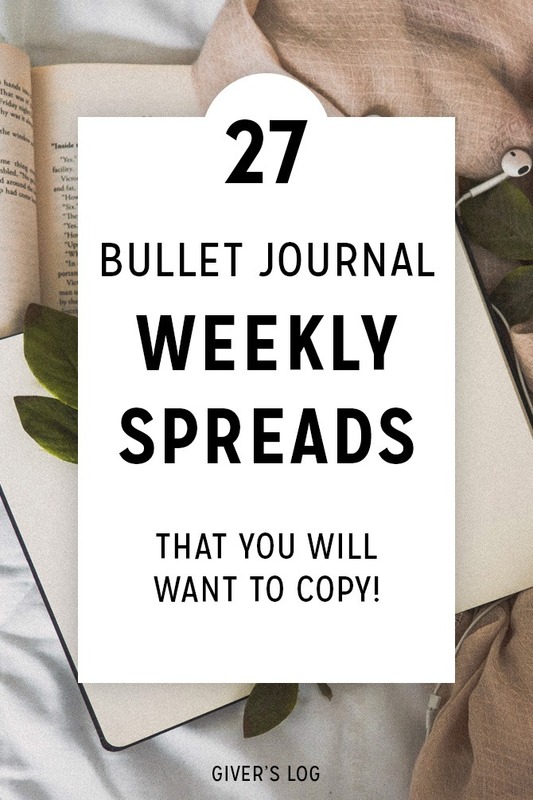 If you’ve been thinking about adding weekly spreads to your bullet journal, you are going to love this post. If you’ve never tried a weekly spread before, you may be wondering why people love them so much. As a weekly spread user myself, I’m here to tell you the benefits of weekly layouts. See your whole weekly at a glance. Draw one spread for the whole week, instead of a new spread every day. Save space in your bullet journal. Keep an eye on upcoming events. But of course, there are some drawbacks of weekly layouts. You won’t have as much room write for each day. A pre-drawn layout has less flexibility than traditional daily logs. Should You Use a Weekly Spread? You like seeing the whole week at once on a single spread. You like to pre-plan a week’s worth of tasks and events. You don’t have a lot of items to log on a daily basis. You don’t like to set up a new daily page every morning. Your school/work/social life is better organized around a weekly schedule. First, figure out how you’d like to divide your pages. Count the squares on your page (if you have a dot-grid or gridded journal), and see how to divide them into equal sections. Many people start with a two-page spread, and divide each of the pages into 3 or 4 sections. If you have a total of 6 sections, you’ll use the 6th sections for a combine Saturday/Sunday. If you have a total of 8 sections, you’ll have one section for every day of the week, and an extra section for notes or a habit tracker. Second, add headings for each section. Many people add the date, including the day of the week. Some people further divide each daily section. You can use symbols or additional headings to keep yourself organized. Third, add whatever extras you’d like. Depending on how you divided your pages, you might have room for a meal planning section, a mini habit tracker, a notes sections, or pretty decorations! Finally, fill it in. And feel super organized as you do! There are so many ways to customize your bullet journal weekly spread. You can design a clean and minimal aesthetic, or you can make a colorful and decorated spread. You can stick to the basic sections, one for each day of the week. Or, you can add a to-do list, a habit tracker, a meal plan, or another useful module. Take a look at these beautiful weekly spreads and use them as inspiration to create your own! If you need help setting up your first journal, check out this Bullet Journal Setup Guide: 5 Easy Steps to Get Started. And if you are looking for even more bullet journal inspiration, check out Simple Bullet Journal Key Ideas to Keep You Organized. Next, to make your bullet journal pages even prettier, don’t miss 12 Bullet Journal Fonts That You Can Draw Right Now.